Live for a month or make it your life, we at Gogo Places help you find new places to call "home". Discover beautiful vacation homes with us to make living an adventure! SkippersReview.com is a FREE resource that helps you find the best local marine service providers wherever your vessel may be. SkippersReview.com is a destination website to find great resources to make your boating lifestyle easier, less stressful, and overall more fun! The concept behind Skipper’s is to build a community of boating enthusiasts who recommend, review, and communicate with each other, ultimately building the largest and most trusted boating community online! So join the Skipper’s family, have fun, and share your reviews and experiences. Be part of making SkippersReview.com a great destination for your boating friends! Insurance for the sharing economy. We want to dramatically improve the way that insurance is distributed, discovered, and consumed. We’re defined by our sense of urgency and dedication to innovation. 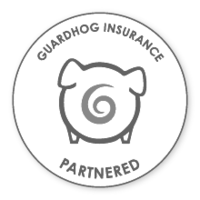 GUARDHOG was created as a reaction to a gap in the market; traditional models of insurance simply don’t fit the sharing economy. We know this gap will be filled so speed and strength of execution are vital. Our sense of urgency is simply a reflection of our understanding that the sharing economy is an ever-changing market. With a legacy spanning almost 100 years and offering tranquil bedrooms, fine dining and seamless service, The Sloane Club is one of London’s most esteemed Private Members’ Clubs. Since its creation in 1922 to present day, The Club and its Chelsea location has been synonymous with world-class art, culture, shopping and restaurants, oozing with old-school glamour and the best of British heritage. Club Members are able to make use of all of The Clubs facilities, from dining by the Executive Chef, Bernhard Mayer (previously of The Savoy) and indulgent treatments at The Sloane Club Spa to use of The Club’s expert Concierge team who are on hand 24/7 and relaxing Members’ rooms in which to relax or entertain. The Club has 133 tranquil bedrooms, ideal for stopovers in London or longer stays to enjoy the best that the city has to offer. The Sloane Club is delighted to open its doors to clients of Boataffair, who are invited to experience the benefits of Membership and enjoy a relaxing stay in this Chelsea heaven at a special introductory rate. Email membership@sloaneclub.co.uk or call 020 7730 9131 quoting ‘Boataffair’. EIS - European Insurance & Services (EIS). EIS has many years of experience in water sports and pleasure crafts and is your competent partner in all aspects of water sports insurance. We have few various insurance products and services for boat owners and for boat renters. To see all insurance products please visit our dedicated insurance page, or click on the logo to be redirected to the EIS Insurance website.